MID-ARGYLL: at Loch Gilp today 3 Long-tailed Ducks (summer male and female and a female type in transition) also 4 Gannets feeding in the loch, 3 Bar-tailed Godwits, several Eiders with ducklings, 2 Red-throated Divers and 14 Red-breasted Mergansers. At least 70 Common Guillemots off Ardrishaig flying up Loch Fyne (Jim Dickson). 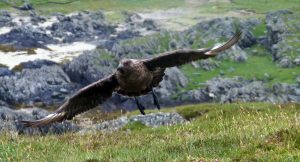 COLONSAY: breeding of Great Skua was confirmed for the first time on Colonsay (it has bred on Oronsay) (Martin Davison/David Jardine). 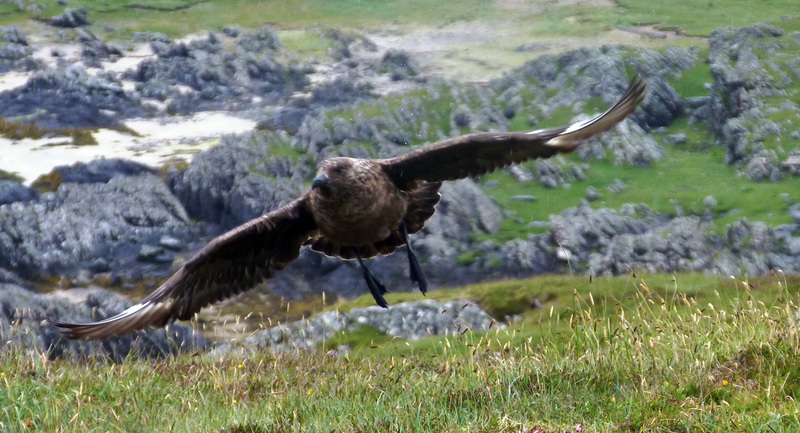 Great Skua – Colonsay 13 Jun (David Jardine).